​Khabib Nurmagomedov and Conor McGregor's UFC 229 match was one that ended in unbelievable fashion, as Khabib jumped into the stands to attack McGregor's team and a brawl ensued. While arrests were made and people speculated whether or not fines would be given out, many wondered whether or not UFC president Dana White would strip ​Khabib of the title or not. White did not strip him, and looking at Khabib's latest Instagram post, it was probably a smart decision on White's part. ​​Khabib's caption reads: "@danawhite you lucky that you give my belt, or I would smash your car, I know your parking location #sendmelocaition." 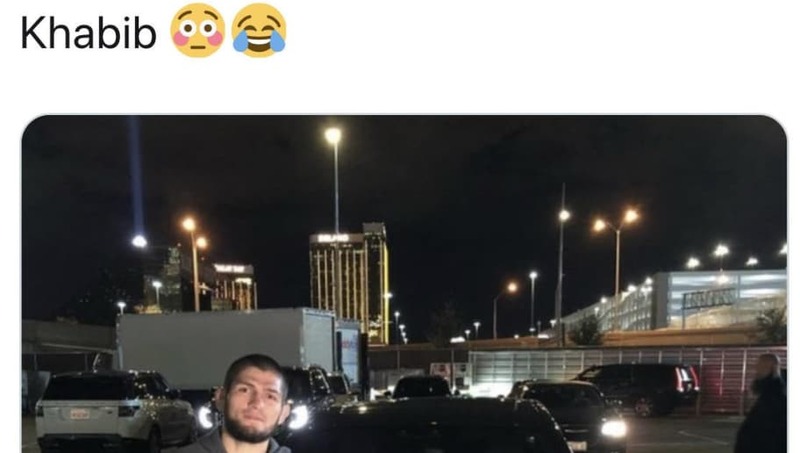 Given his actions from the event, it shouldn't be a surprise to anybody that ​Khabib would post this. He's a savage who beats people senseless for a living. You don't think he wouldn't smash up a car to get what he rightfully deserves? It's not really a good look for UFC that the brawl ensued and that fighters like Khabib can threaten the president and get away with it, but in the end, it's about entertainment and that's what the fans are getting. If I were Dana White, I'd probably pass on that offer and just go on with my day. With how crazy the first fight was, I think we can all agree that we can't wait to see what the rematch has in store.